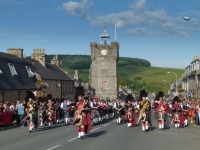 An evening of traditional Scottish music, singing and dancing in Dufftown, featuring local musicians. Highland Games are one of the highlights of the year. 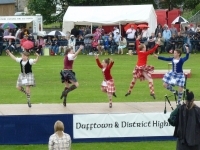 Like many other villages and towns in the Highlands, Dufftown is proud to host it's own Highland Games, a tradition dating back over 150 years. New Year's Eve is always a special time in Scotland. Feasting, singing, dancing, pipe bands and fireworks all combine to make seeing in the New Year an unforgettable experience.